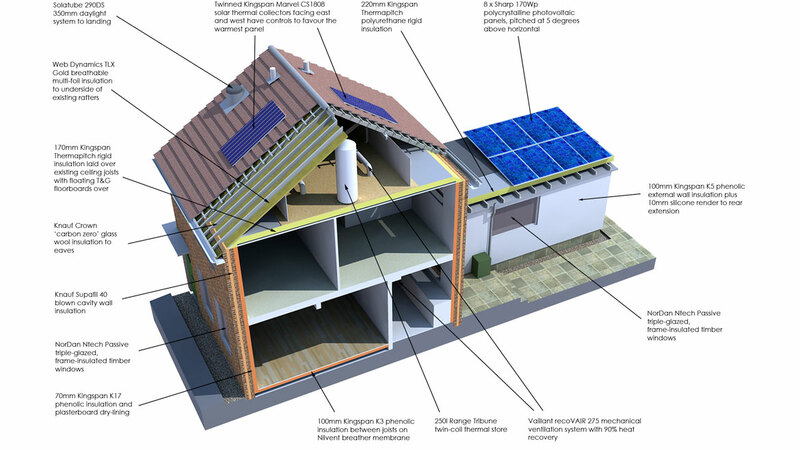 Sustainability Initiatives: Thermal improvements including superinsulation to both internal and external building fabric, triple glazing & insulated doors; high efficiency condensing low NOx gas boiler; LED lighting; PVC-free wiring; water conserving toilets and taps, rainwater harvesting, and heating-on-demand; solar thermal and photovoltaic panels. ECD Architects worked with client The Hyde Group for the refurbishment of this void property in South East London using specific eco-measures with the aim of reducing the house’s carbon emissions by 80%. 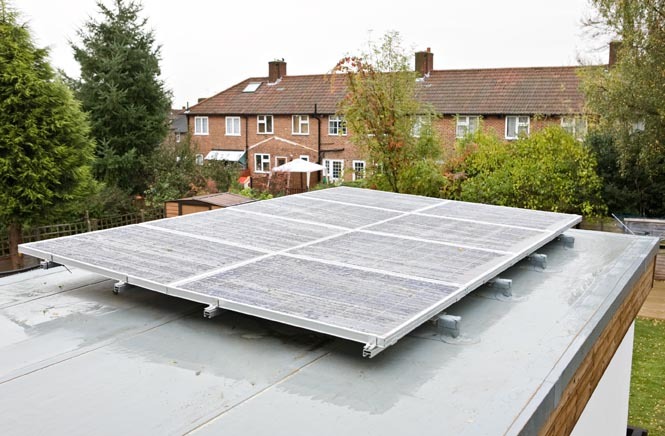 In-line with the national shift in the housing sector’s focus from new build to refurbishment, this project, dubbed ‘Retrofit & Replicate’, actively addresses the challenge of reducing CO2 emissions through the retrofitting of existing housing stock. Current government targets aim to reduce the UK’s total CO2 emissions by 60% per cent by the year 2050, however expert opinion in relation to housing suggests this target should be set to 80% to avoid irreversible damage to the planet. 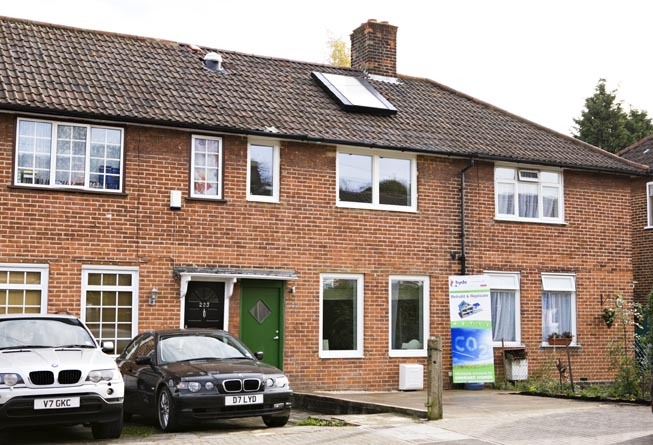 Using this refurbishment as an experimental test case, the house was then monitored to establish which measures selected provide the most practical, cost effective and replicable solutions for reducing CO2 emissions in existing housing stock. Hyde will then look to implement and assess those measures within its housing portfolio. Winner: Inside Housing Sustainable Housing Awards Low Energy Social Housing Project of the Year 2009; Winner: National Home Improvement Council Big Green Home Award 2009; Winner: National Home Improvement Council George Plucknett Award for outstanding project 2009.